The geoid is a measurement of mean sea level (MSL). When you average out the motion of waves, the level at which water settles is MSL. If you want to calculate MSL, all you have to do is just measure the average level of the oceans… and there you have it. But what about on land? Let’s say you dig a canal away from the ocean inwards to the land. The level the water would settle could be interpreted as mean sea level. The geoid is the hypothetical MSL without digging a canal… And surveyors use it to measure precise surface elevations as a true zero surface in a vertical datum. Do all objects on Earth fall at 9.81 m/s2? How consistent is gravity at different places on Earth? Is it a steady 9.81 m/s2 (that’s meters, per second, per second) or does it change depending where you are? Turns out, gravity is completely location-based. Based on the geoid model, it differs from place-to-place on Earth. So gravity is a function of mass. For example, mountains have more mass than valleys. As a result, gravity at the Rocky Mountains is relatively stronger to other locations on Earth. This also means that our planet is actually very bumpy and non-uniform. As you can see in this 3D Geoid Viewer, it’s not a sphere and not as smooth that most people tend to think it is. 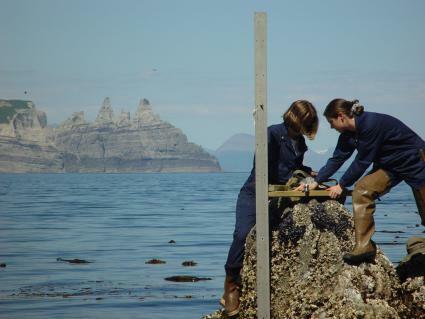 How do you measure the geoid (mean sea level)? If you want to measure mean sea level, you can use a tide gauge. Over time, you can just average out the results. And of course, that average is mean sea level. But you’d need a lot of tide gauges placed around the entire globe. So this is why satellites like NASA’s GRACE mission (Gravity Recovery and Climate Experiment) and ESA’s GOCE mission (Gravity Field and Steady-State Ocean Circulation Explorer) are measuring our planet’s gravity field with a precision never obtained before. How do these satellite work? GRACE is a pair of satellites in the same orbit approximately 220 kilometers apart. 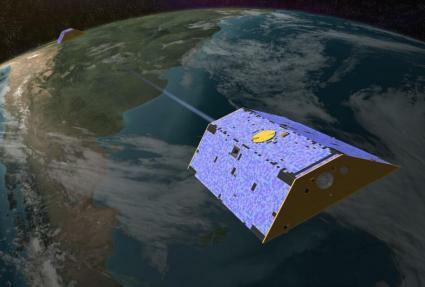 When the leading satellite increases speed, this means there is a greater gravitational pull. If the leading satellite slows down, this means there is less gravitational pull. These tugs and pushes in gravity are measured using microwave pulses from one satellite to the other. Each satellite position is being pinned down with GPS. The end result is the most accurate measurements of gravity anomaly to date. Why learn about the geoid? As gravity is one of the key elements in the field of geodesy, scientists are extracting GOCE and GRACE satellite data to study some key applications on Earth. EARTH’S INTERIOR – Scientists are closer than ever to earthquake prediction. Because we can retrieve variations in the geoid, these subduction events are like retrieving earthquake signatures. Geoid variations were associated with more than 98 per cent of the earthquakes of magnitude 9 or above, around 60 per cent for magnitude 8.8, 40 per cent for magnitude 8.6 and 33 per cent for magnitude 8.3. CLIMATE CHANGE – Ocean circulation, tide gauges and sea level… If all the ice melted, climate scientists would measure change by the Earth’s rising sea levels and tide gauges. GRACE measures mass change from the melt of Arctic ice. It helps us understand if ocean circulation is changing and how if affects world climate change. As you walk around Earth, you weigh a little more or less depending on where you are. It’s actually a function of how much mass is below you. The geoid derived from the GRACE and GOCE missions can sense just how much that mass is. We love remote sensing applications. And the list goes on for these uniquely interesting satellite missions. 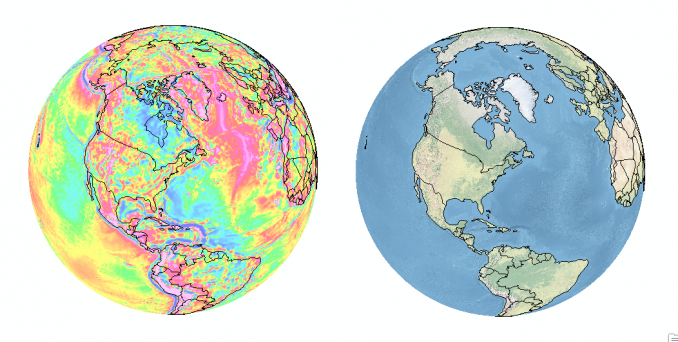 Earthquake prediction, climate change models and the water cycle are some of the areas that the geoid is helping us understand how our Earth works. But the list of GRACE applications doesn’t stop here. Have you ever used the geoid model? We are interested in hearing from you. If you have (or haven’t), let us know with a comment below.